Starting this week and presumably into the future, the Just The Tip podcast is going LIVE every Monday at 8pm on Radio Korea Hawaii as part of their Live 1.5 programming. It’s the same podcast that you’ve listened to… now live and a bit more focused. So, check them out every Monday night at 8pm HST on 1460am, Radio Korea Hawaii. If that’s not possible, you can livestream the show from the Radio Korea Hawaii website at http://www.radiokoreahawaii.com/ or from my favorite radio streaming app/website: TuneIn. 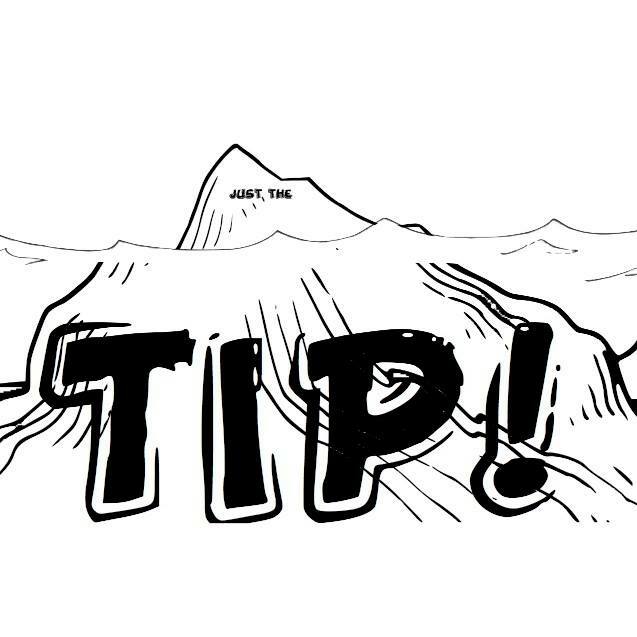 For more info, check out the Just The Tip Facebook page. Soulgasm presents a special edition of SOULGASM HAWAII, featuring members of the Elite Force Crew – NYC: guest MC Bobby Mileage and guest DJ Brooklyn Terry. They’ll be holding a special “Free For All” Allstyles Cypher Battle where Bobby Mileage and Brooklyn Terry will pick dancers to face off in the Finals. The winner will get a special edition of the Elite Force Sneaker High Tops, among other prizes, along with the chance to appear in the Bobby Mileage Clothing ad campaign and to be sponsored by BMC. After the battle, Brooklyn Terry will bless the decks and throw down some dope house music. This all goes down this Saturday at thirtyninehotel. Doors open at 9pm and $10 gets you in. 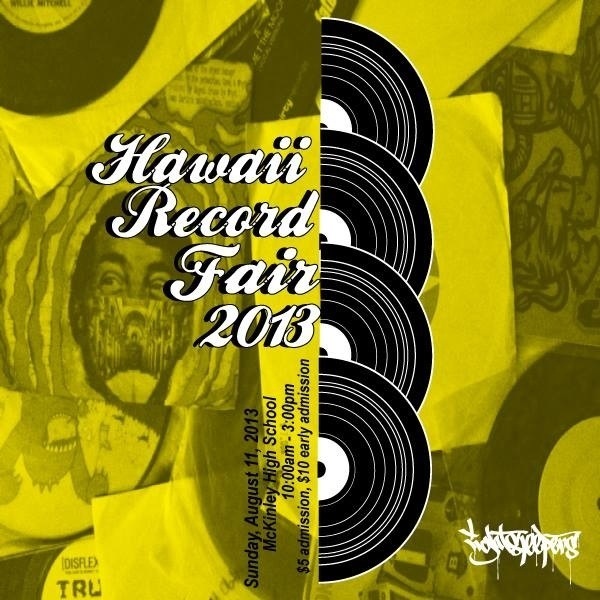 This Sunday, Hungry Ear Records proudly presents the Hawaii Record Fair on Sunday, August 11, 2013, from 10:00 a.m. until 3 p.m. at the McKinley High School Cafeteria (1039 So. King Street, Honolulu HI 96814), sponsored by Jelly’s Hawaii, Audio Lab, HiFi Hawaii, 808shows.com, Aloha Got Soul, Pacific Limits, and UDown. 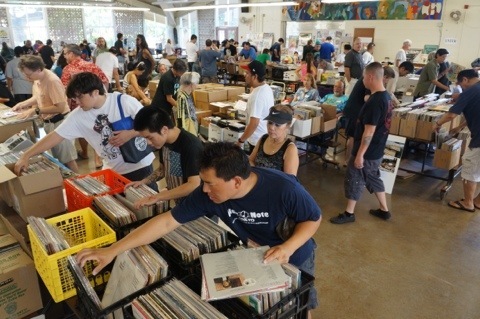 This event brings together record enthusiasts, crate diggers, collectors, and people who love music all in one location to check out some cool stuff and talk story. There will be tons of records, cassettes, CDs, and even music memorabilia that will appeal to all ages. So, there’s a little something for everyone here. If you’re familiar with the annual Friends of the Library sale, this is the same space and uses the same parking, so there will definitely be a lot going on. Admission is $5 per person, with a special early entry available at 9am for $10 if you want to get first dibs on the good stuff. Check out the latest mix from the homies DJ enJAY and C.Scienz called #HI2NY. This mix features strictly Timbaland & Neptunes beats, mixed melodically by two men who know how to do it right. Stream it live in the widget above or download it to your computer for later use. 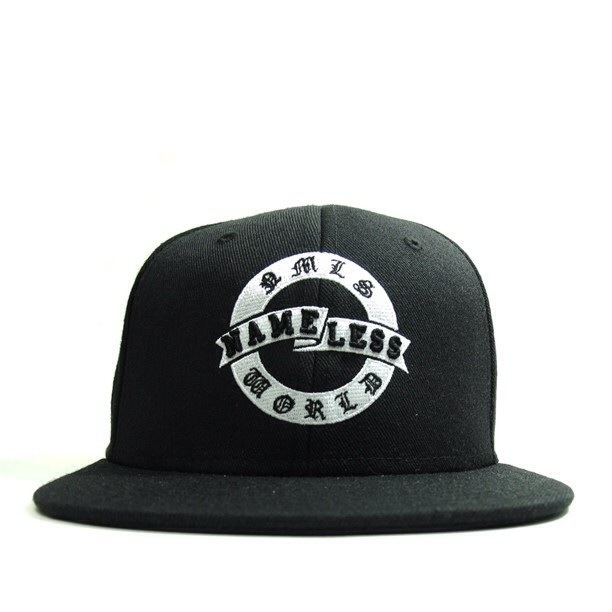 You’re gonna need something to listen to after listening to Yeezus & Born Sinner, might as well make it this. Check out enJAY on Twitter at @enjaydj; C.Scienz at @erwinspinueva. Several announcements from the Flying Coffin camp today: first up they’ve created a few women’s leggings featuring the abraxas pattern in black/red and the repeater skull pattern in black/lime green. all leggings printer, cut, and sewn in Seattle. So, support local business. 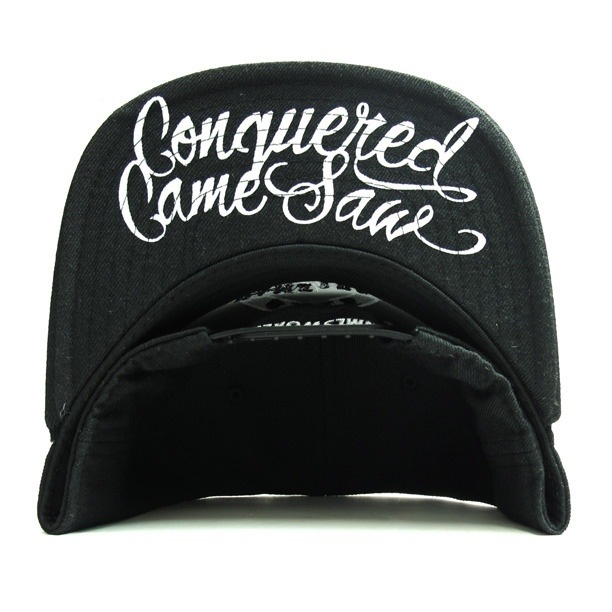 Next, they’ve just announced their latest collaboration with Black Scale and Alive & Well. 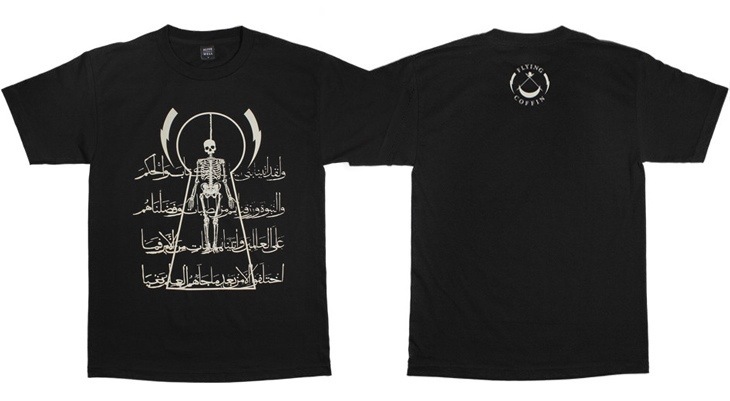 Limited quantities in this shirt. Finally, get 50% on remaining sweats and fleece. 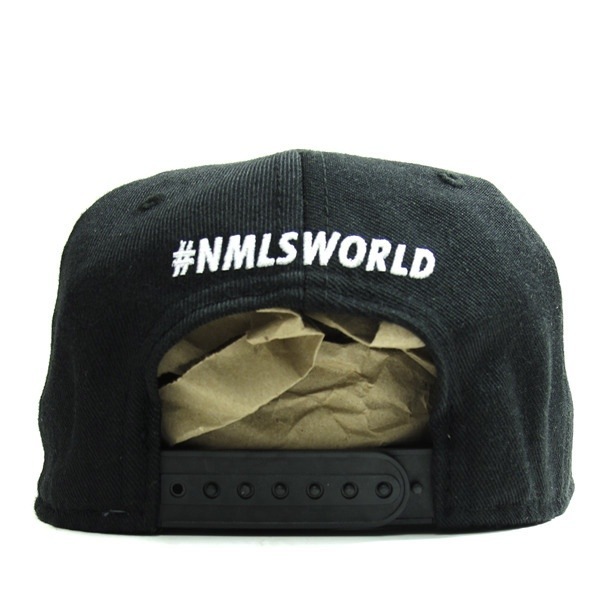 So, stock up for Fall and scoop up some dope stuff at a great price. Use the promo code “fifty” upon check out. For years now, Soulgasm has held the standard for dance filled parties in Hawaii. The monthly event, held every 3rd Friday, features house, soul, and funk and the good vibes of thirtyninehotel. Resident DJs Matt Kee, Yuji, and HughB hold down the spot every month and make sure that Chinatown keeps dancing. 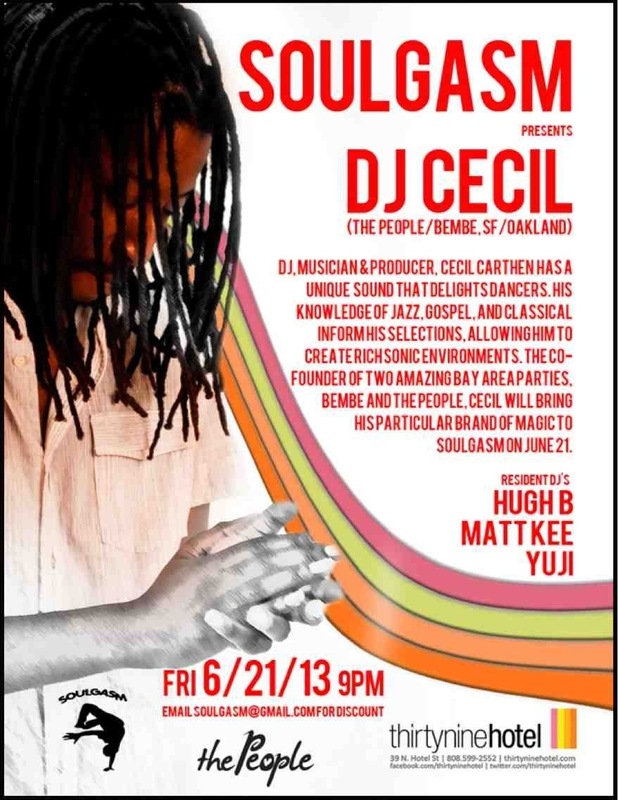 For Soulgasm’s June event, they are kicking off the summer with special guest all the way from the Bay, Oakland’s own DJ Cecil of the legendary SF parties, thePeople and Bembe. Raised on old jazz and gospel records and fine-tuned by classical teachings on piano, DJ Cecil already held a deep understanding for music when he was led to hip hop in his tender teenage years. However, his arrival to the San Francisco Bay Area in the late 90‘s set the stage for his true unfolding; a path that would soon position him as an integral part of a burgeoning and beautiful underground house music & dance scene. His passion for music is contagious; as he cleverly fuses house with the beautiful nuances of jazz, the heart of soul music and the boom-baps of hip hop. The result is a refreshing and colorful dance floor experience, that keeps the body at attention and the heart tenderly in tune. DJ, musician & producer, DJ Cecil has a unique sound that delights listeners from all over the world – but perhaps his best personal accomplishments lie in the the monthly event he co-founded, “thePeople”. A signature of style, freedom and love that becomes unleashed on the dance floor, “thePeople” is now enjoying it’s fifth year as a monthly event that takes place in Oakland, California. Having hosted the likes of Rich Medina, DJ Spinna, Osunlade, Boddhisatva, Amp Fiddler & so much more, “thePeople” invigorates Bay Area nightlife with their unique offering of music, culture & art. Simply, it is a great reflection of a city full of immigrants, transplants, leftists, same-gender-loving, artists and people of color that Oakland is known to be. Expect soulful sounds from across a spectrum of genres; cutting edge bass driven broken rhythms folded into Afrobeat or Brazilian flavored tracks, and of course a little hip hop. Pulling from the influential rather than the derivative commercial end of the record crate, “thePeople” continues to be an important gathering space unlike no other. If you missed out on the BeatRoot Grand Championship this past Saturday, then you’re in luck. 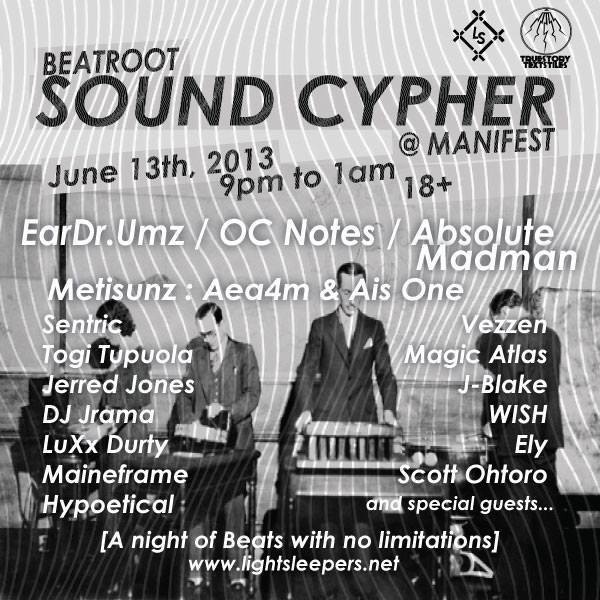 The lightsleepers will be holding a beat cypher tonight at Manifest, featuring several producers that competed on Saturday, some past champions, and the entire Seattle crew holding down the spot. This Saturday, the monthly street festival known as Honolulu Night Market happens once again. Tons of live art, food vendors, and boutique shopping in the Pinch of Salt Warehouse. It’s a fun event that all members of the family can enjoy. 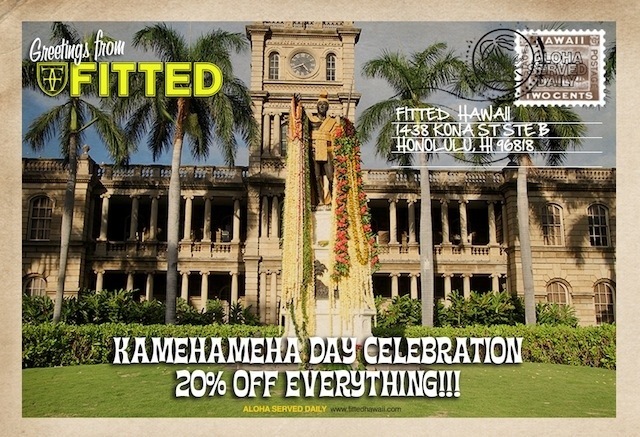 When shopping online, use the discount code KAMEHAMEHA at checkout.